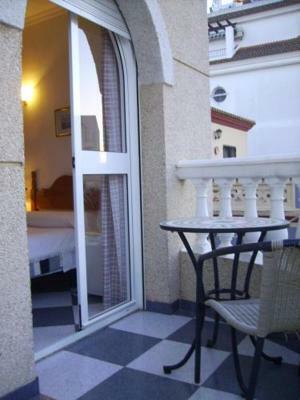 Lock in a great price for Hostal La Giralda – rated 8.5 by recent guests! 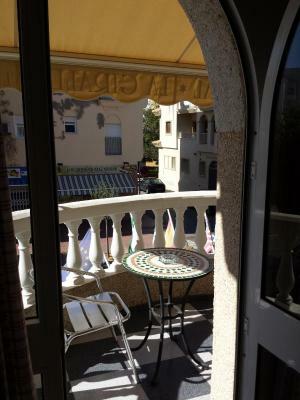 Very convenient to everything in downtown Rota. Value for price couldn’t be beat. The bed was comfortable and even though there’s a popular cafe below the noise didn’t bother my sleep. This is a nice location in Rota. Staff is very friendly. The place is busy in the evenings at meal time. The local beer is very good. I would stay here again. Recommend upgrading the wifi for better access. The location was great. The historical district was within walking distance as was the beach. 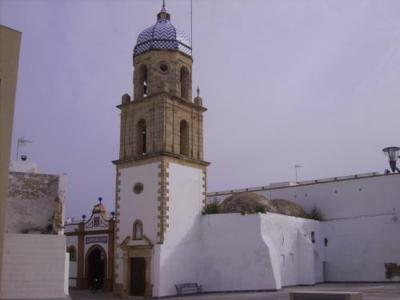 Many plazas, shops, and restaurants very convenient. Staff s very helpful and friendly. Place a centrally located, walking distance to the beach and restaurants. Clean. It was great staying here I was treated like family. 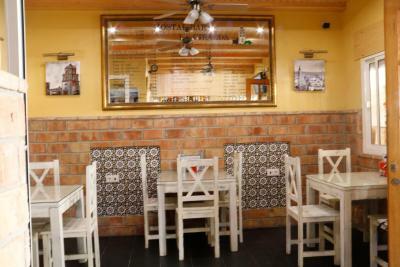 Location, value, very friendly staff, lots of eateries & bars within 5 mins of walking. Great location! Everything is within walking distance. The place is very clean. 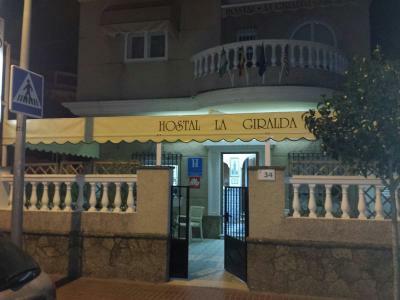 Hostal La Giralda This rating is a reflection of how the property compares to the industry standard when it comes to price, facilities and services available. It's based on a self-evaluation by the property. Use this rating to help choose your stay! 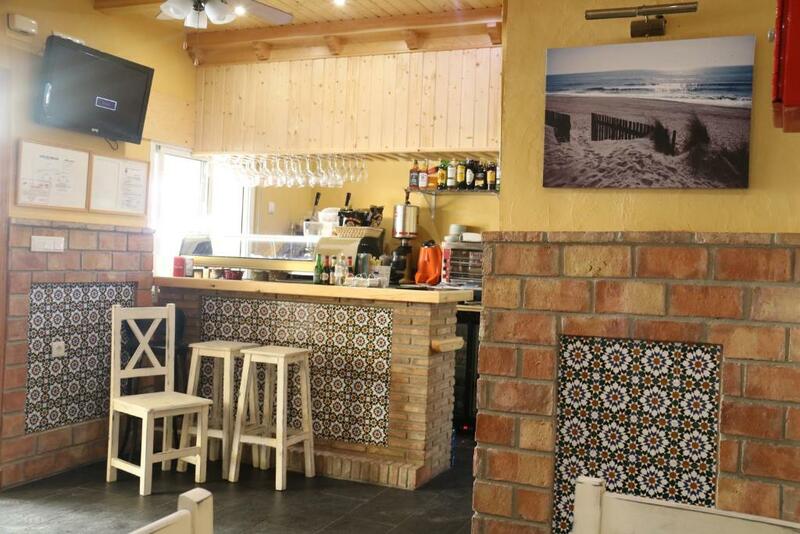 Conveniently located 1,000 feet from the beach and 5 minutes from Rota´s old town, the marina and the fishing port, Hostal La Giralda is only a 20-minute drive from the famous golf courses of Costa Ballena. 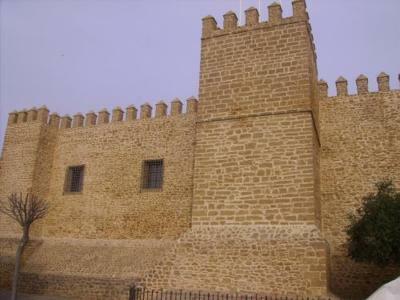 This guest house is also an excellent starting point to explore cities like Cádiz and Seville, the charming ancient towns of Andalusia, and the Doñana Nature Reserve. 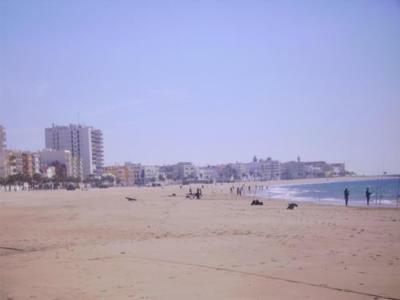 In Rota itself you will be surrounded by 9.9 mi of award-winning golden sandy beaches. A continental breakfast consisting of coffee, tea or chocolate and an assortment of pastries and toasts is served. High-speed WiFi is offered free of charge. 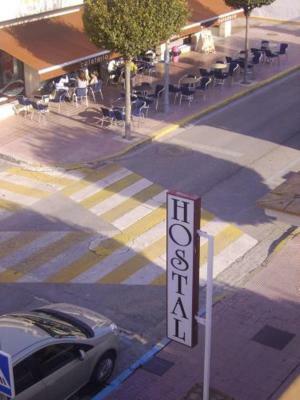 When would you like to stay at Hostal La Giralda? This twin/double room has one double bed or 2 single beds. House Rules Hostal La Giralda takes special requests – add in the next step! Hostal La Giralda accepts these cards and reserves the right to temporarily hold an amount prior to arrival. Shower cramped but for the price I can live with it! Second floor has poorer WiFi. When i tried to close the shutters in the bathroom ( awkwardly placed on the wall in the shower), a bunch of rust fell off onto the ground. Luckily being in the shower it was easy to wash away. Also the basic 1st floor wifi didn’t work at all. Location was excellent. 3 mins from the center of town, 5 mins from the beach. Wonderful cafe across the street where we had breakfast everyday...2 rolls with jamon and tomatoe, 2 coffees....4.50 euro...can´t beat that. It is a very friendly family-run place. We did learn some Spanish :-) and enjoyed staying there. The beach is very close, so are several bars, restaurants and the city center. A nice place to stay in Rota. We couldn’t connect to the WiFi. 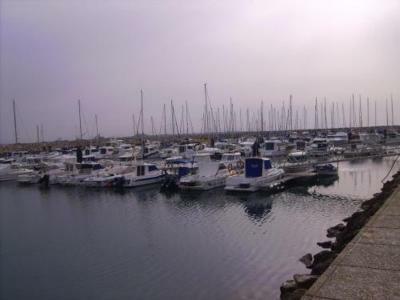 Short walk to marina and beach, excellent value for money. There wasn't much we didn't like about the accommodation. No hair dryer. Better wifi connection in room. We had out morning café out on the covered patio. Great cortado! There was no air conditioning in my room as it was described. Only a fan on a ceiling, which doesn’t help with a cold in winter. Bathroom is really tiny but at least there was a hot water. The staff was nice, but he almost lost my ID which instead of taking a copy, he took (even my room was already paid) on next morning he had hard times finding it. Extremely weak Wi-Fi in the bedroom. Wifi did not reach the room, even after a reset, and the router was only two rooms away..! We didn't realize before putting food into the refrigerator that the temperature was set high enough that our fruit had become frozen by breakfast time..!